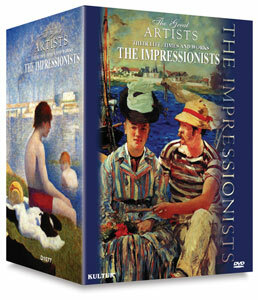 The six programs in this collection from Kultur Films provide an in-depth look into the fascinating world of the Impressionists and their art. The programs place each artist in historical context, highlighting the events that inspired their work. ® Kultur Films is a registered trademark.